Sequence of drawings about Motion, Gesture, and Mark. Professor Bill Mammarella, chair of the Fine Art department, offers this peek into the course, DRAWING: THEME & VARIATION (FA382), which challenges junior year students to sustain an examination of a set of technical, formal, and conceptual parameters through the development of a thematically related body of drawings. 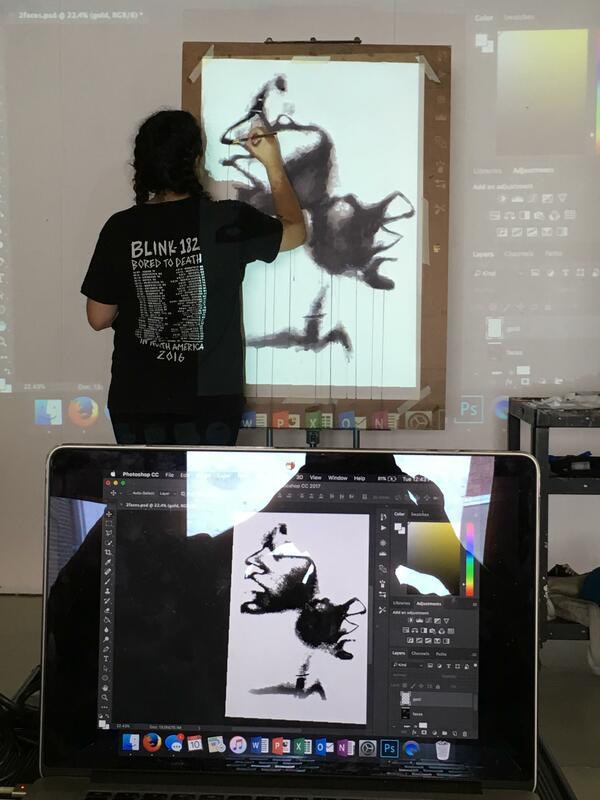 In an assignment and through critique, the class focused on a sequence of drawings about Motion, Gesture, and Mark. 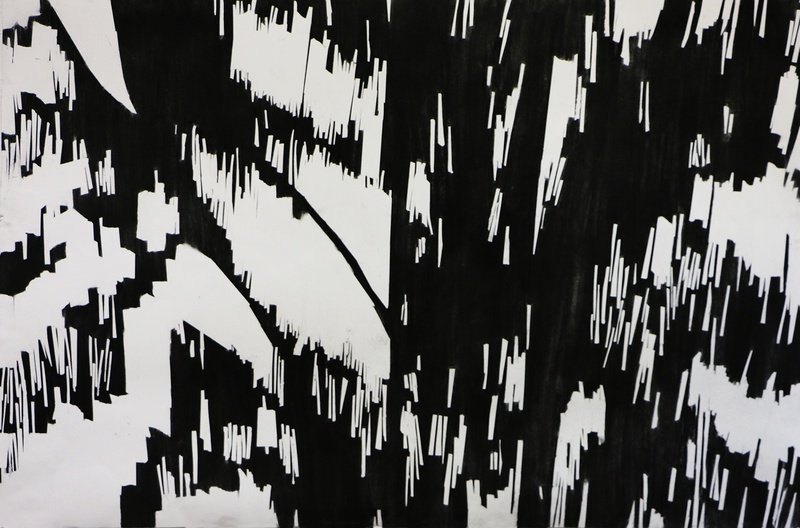 The starting point for these drawings was a video shot by each student that captures a block of time. The student had to take the video has a starting point for a series of drawings that explored ideas about motion, mark and gesture. Students were shown drawings of abstract expressionist artists for inspiration. Shealyn Oto started with her video that was shot while moving her body in sync with music and then isolating specific frames that captured motion. She then replicated the directional marks using traditional artist materials to make a sequence of drawings (left). This assignment encouraged students to mix traditional hand skills with digital methods. Students used photohop, printing, scanning and projection alongside charcoal, ink and collage.